The winners of the prestigious 65th National Film Awards were announced today. Late actress Sridevi has been named as the Best Actress for her performance in Mom. Late actress Sridevi has been named as the Best Actress at the prestigious 65th National Film Awards 2018. 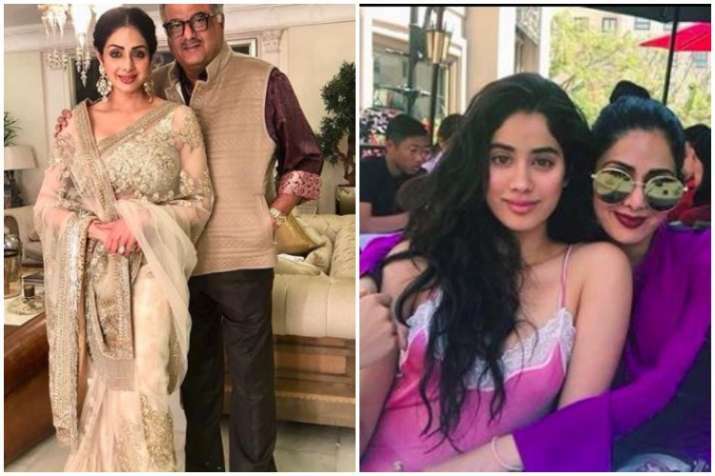 Her husband Boney Kapoor, daughters Janhvi Kapoor and Khushi Kapoor are overwhelmed with the honour and they have released an official statement thanking the Government of India. The veteran actress has received the award for her spectacular performance in Mom. The announcement of the winners was made today by jury head Shekhar Kapur. The statement reads, “We are overjoyed to know that the Jury has conferred the Best Actor Award to Sridevi for her performance in ‘MOM’. It’s a very special moment for all of us. She was always a perfectionist and it showed in all the 300 plus films she did. She was not just a Super Actor but a Super Wife and a Super Mom. Sridevi died of accidental drowning on February 24, 2018 in Dubai. The lady was in the country to attend the wedding of Mohit Marwah. On a related note, late actor Vinod Khanna has been conferred Dadasaheb Phalke Award. Rajkummar Rao’s Newton is named as the Best Hindi film. The awards will be given to the winners on May 3.